I will be joining with seven other local artists, including renowned wildlife photographer Carrie Calvert, for an arts trail event in Blindcrake Village Cumbria (CA13 0QP). 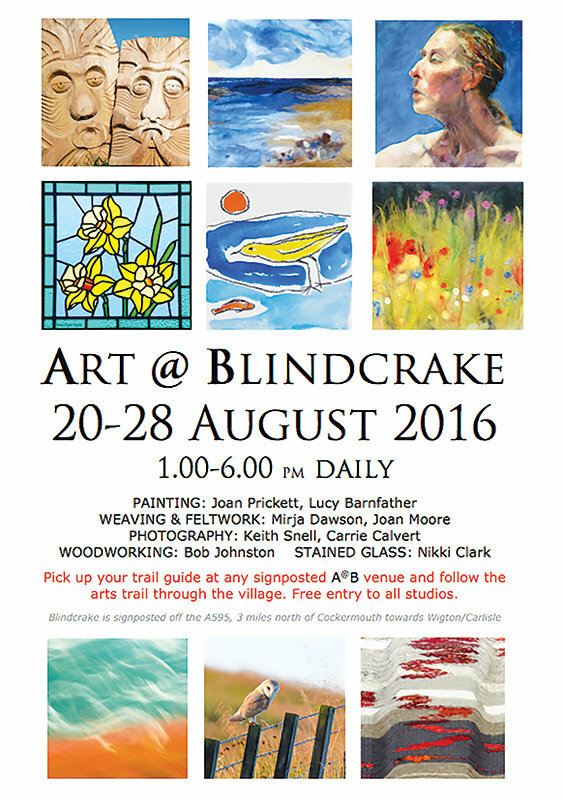 I will be exhibiting from home every afternoon during the week 20-28 August 2016. If you are in the area, please do call in!